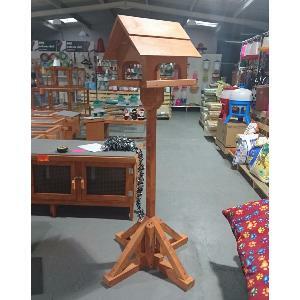 This hand made bird table can be removed out of the base for easy carrying. This item has been made locally to a high standard and has been treated with wood preserve. A beautiful addition to your garden with the added benefit of encouraging birds into your garden. NB This item can only be delivered locally.